The modern Riviera garden set is made from premium close grained solid teak and grade 304 premium brushed stainless steel. 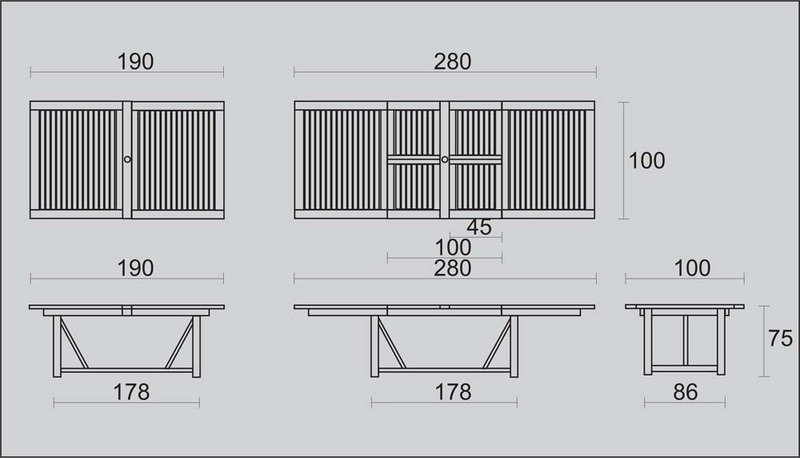 The table extends easily from 190cm to a very large 290cm using two butterfly leaf extensions which are concealed under the table top when not in use. Unique design with v shaped stainless steel leg design. This table can seat up to 10 people. 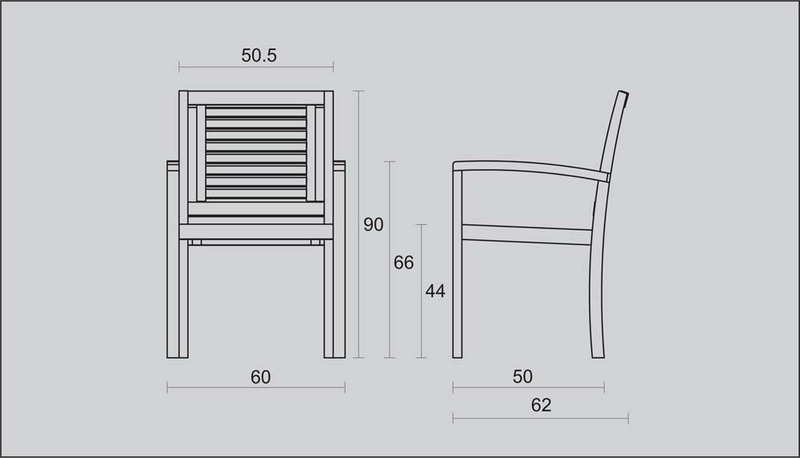 Includes 8 matching teak and brushed stainless steel stacking armchairs which are durable and stylish. The chairs stack 4/5 high for easy storage. The Riviera garden set is fully machine made to ensure a long life span and comes with stainless steel parasol cover plate and fittings. The teak used to make this set is gathered from sustainable and legal plantations.